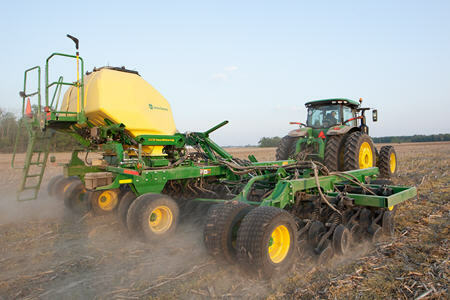 The N500C is designed for no-till seeding. 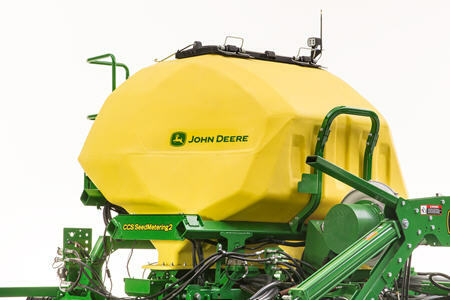 The N500C with SeedMetering2 offers accurate volumetric metering in a compact tank-mounted-on-frame design, with the convenience of the Central Commodity System (CCS™) bulk-fill capabilities. The N500C is available in single- or dual-rank designs, with 9.15-m, 11-m, 12.2-m, and 12.8-m (30-ft, 36-ft, 40-ft, and 42-ft) working widths. The single-rank N500C is available in 38.1-cm (15-in.) 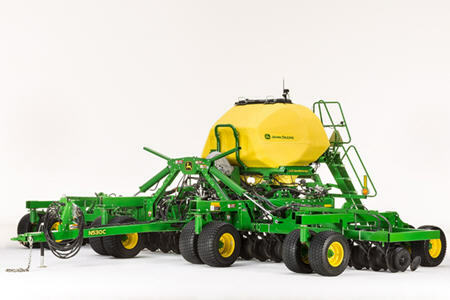 row spacing, making for a highly productive soybean seeding machine, while the dual-rank models are available in 19-cm or 25.4-cm (7.5-in. or 10-in.) row spacings. 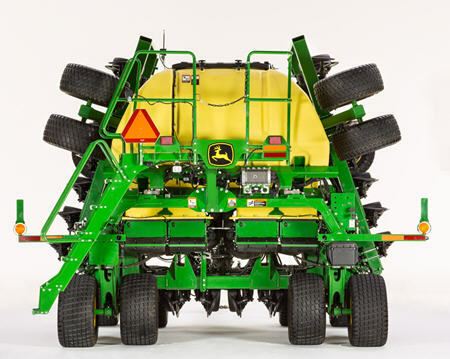 The dual-rank models also feature an optional dual row spacing package, which allows them to seed in their standard spacing or lock-up one rank and seed in 38.1-cm or 50.8-cm (15-in. or 20-in.) row spacings. The productivity of the CCS comes standard with the N500C. The CCS bulk-fill tanks feature 3523.9-L (100-bu) capacity on the 9.15-m (30-ft) to 11-m (36-ft) models. 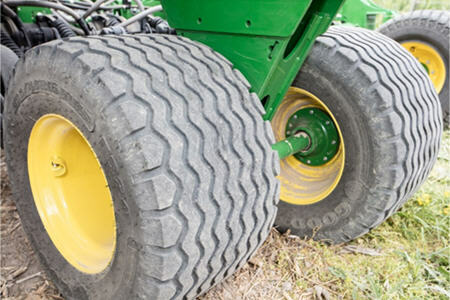 The 12.2-m (40-ft) and 12.8-m (42-ft) models offer 4228.7 L (120 bu) of capacity to allow operators to seed more acres before stopping to refill. 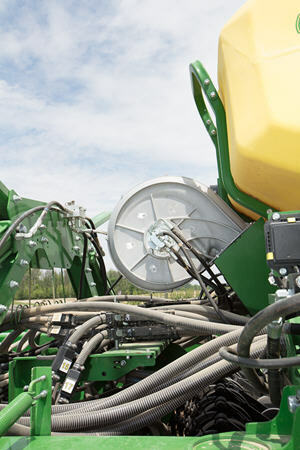 The N500C features the Pro-Series™ No-Till Openers. 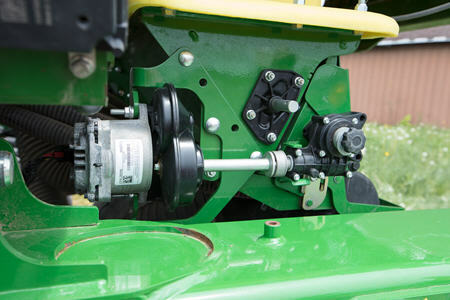 With well over one million no-till openers in the field today, this proven opener offers accurate seed placement with the exclusive active hydraulic downforce ground-following system while minimizing moisture loss with its low-disturbance opener design. The tank on the N500C has been moved up and back to allow for better access to the meters. The blower fan has been relocated to the front of the tank to allow non-obstructed access to all four meters. The updated tank design is also larger. 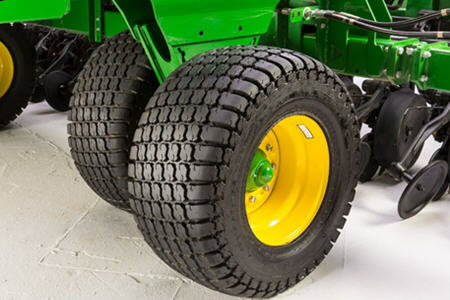 The 9.15-m (30-ft) to 11-m (36-ft) models offer a 3523.9 -L (100-bu) tank. 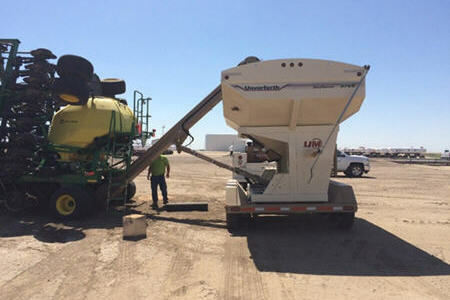 The 12.2-m (40-ft) and 12.8-m (42-ft) models offer a 4228.7-L (120-bu) tank. Tank cleanout has also been improved. 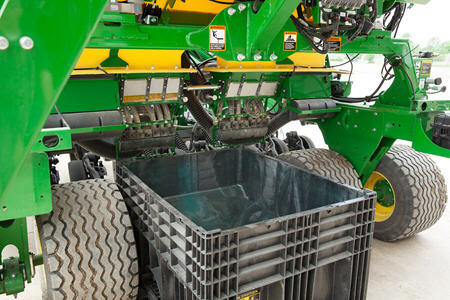 Producers can place a seed box or conveyer under the tanks to empty out excess seed. The tank has been designed so there is minimal seed left in the tank after it has been emptied. 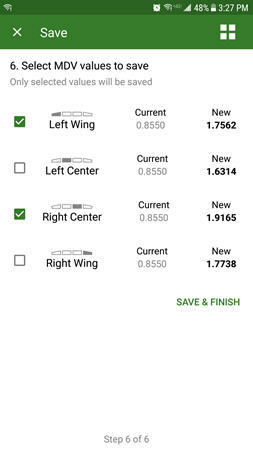 Calibrating the meters has also been improved thanks to electric drive metering. The N500C is calibrated stationary similar to larger air carts. 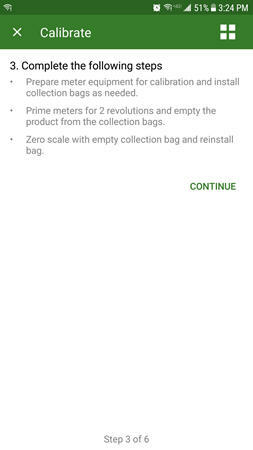 Catch bags are placed under each meter, and the meters turn a pre-determined amount of revolutions. 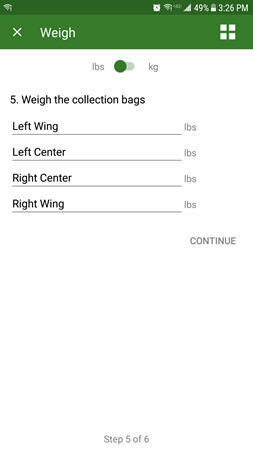 Catch bags are weighted and entered into the SeedPlus app or on the Gen 4 display in order to generate a meter displacement value (MDV). 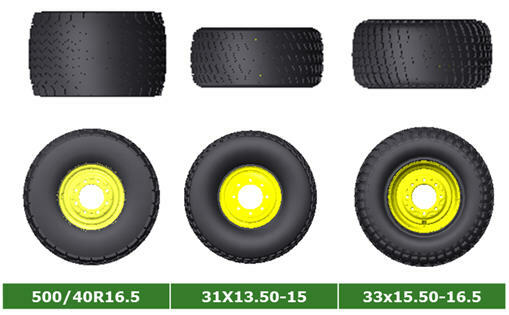 The N500C offers 33x15.5R16.5 tires standard on all machines, resulting in better floatation and less compaction and allowing operators to get into the field sooner and stay in the field longer. 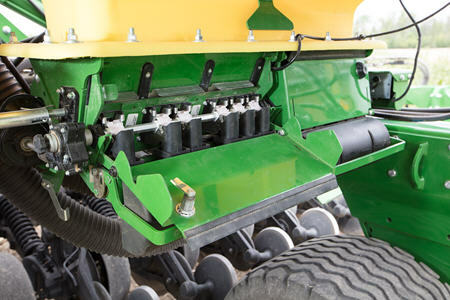 The mainframe is also equipped with walking beams to allow for better ground following. For the first time, meter sections are controlled with electric motors. Each meter section has its own electric drive motor. 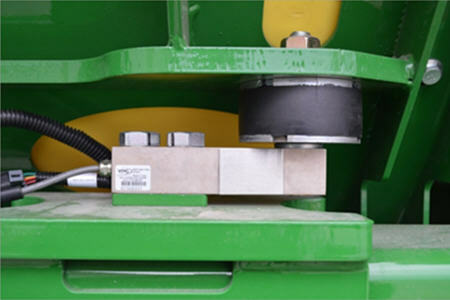 This eliminates the need for a variable-rate drive hydraulic motor or a ground drive wheel. This also enables the SectionCommand system and variable/prescription seeding. 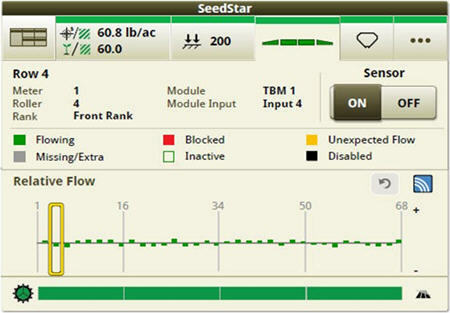 Perscription/variable-rate seeding allows growers to apply the right amount of seed depending on predetermined management zones. 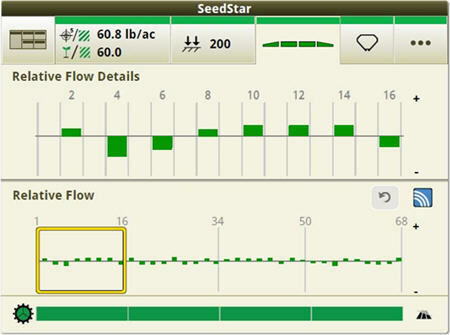 Four-section SectionCommand has shown a potential seed savings of 4 to 6 percent depending on field size and shape. 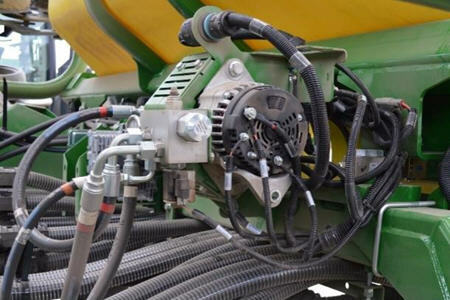 The electric motors are powered by a power take-off (PTO) power generation unit or an onboard hydraulic power generator. 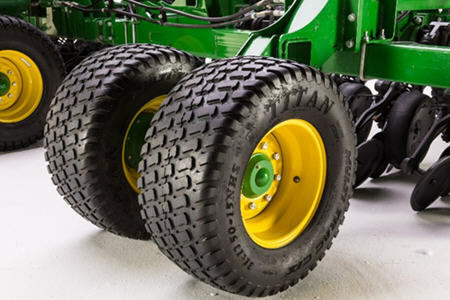 Growers can choose either of these options based on their tractor limitations. 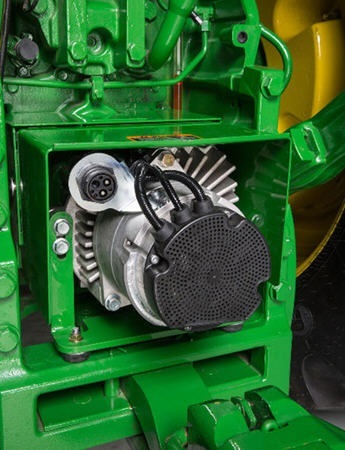 The on-board system utilizes power beyond, whereas the PTO system frees up hydraulic capacity on the tractor as the PTO powers the generator. 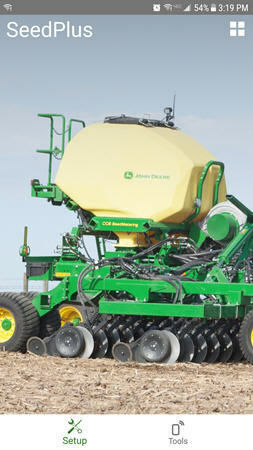 The more frequently calibration is completed, the more accurate a seeder will be. 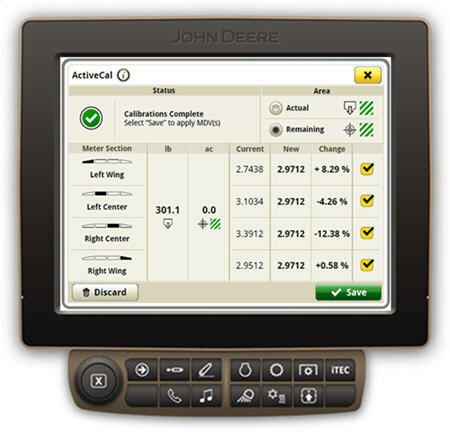 A number of variables, including product weight and changing climate conditions throughout the day, will have an effect on any volumetric metering system; with the John Deere ActiveCal system, calibration can be done from the cab of the tractor, while seeding, to minimize the variation in product metering. 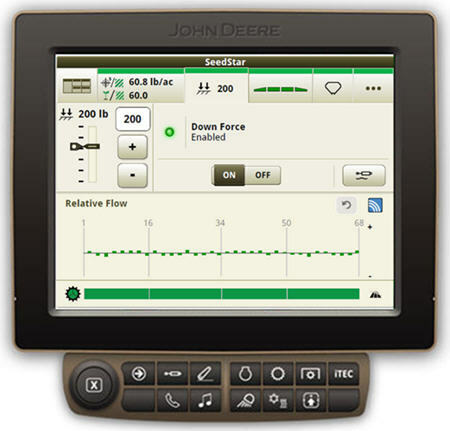 The process to calibrate the implement starts with the Gen 4 4600 CommandCenter™ Display in the work setup page, where the operator defines product types, rates and selects meter rollers. 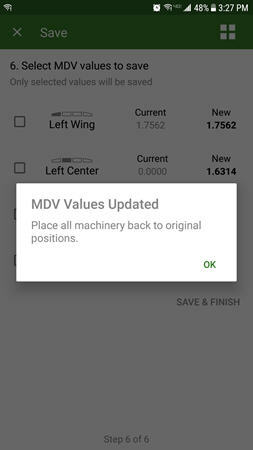 Based on information entered into the work setup page, a preconfigured meter displacement value (MDV) will populate per meter. 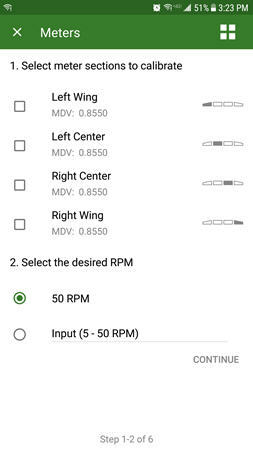 An initial manual calibration will give the most accurate MDV to start with. 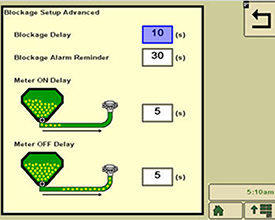 However, the preconfigured MDV will be a good starting point for growers who do not wish to manually calibrate. 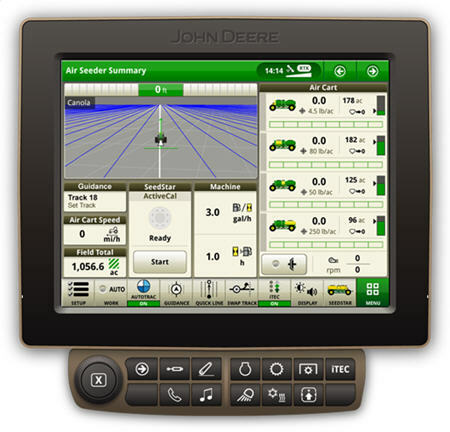 The operator engages ActiveCal while stationary by selecting the button on the screen and then begins seeding. When enough product has been metered out, typically after about 8-12 acres, the Gen 4 CommandCenter will prompt the operator to stop when convenient to do so. 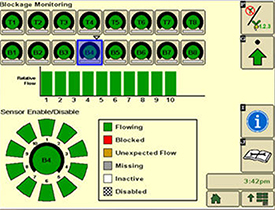 At that time, the data points are calculated and a new MDV with percent difference is displayed on screen. The operator can accept or reject the new MDV. If accepted, the system automatically calibrates to the new MDV. If rejected, the system continues at the previously calibrated numbers. TruSet downforce allows operators to set downforce pressures from inside the cab. 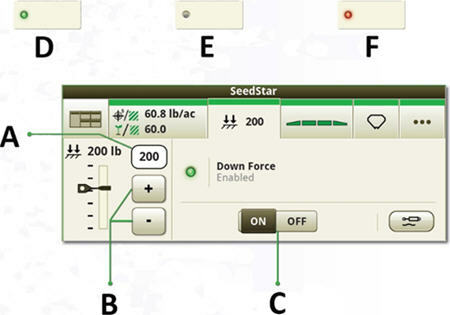 Downforce can easily be changed by the push of a button as soil conditions very. Proper downforce is directly related to a consistent seeding depth, which leads to improved even emergence, plant density, and maturity. 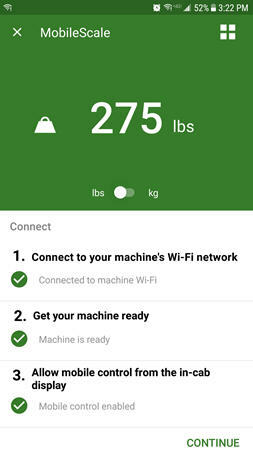 Tank scale weights and meter calibrations can be completed from an Android™ or iOS® mobile device anywhere around the machine. Tank scale weights can be viewed anywhere within 15.2 m (50 ft). 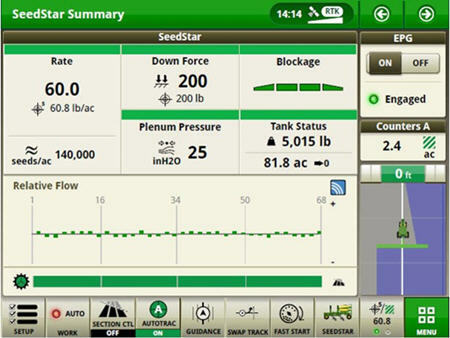 The SeedPlus app can also be used to calibrate the tank scales as needed. 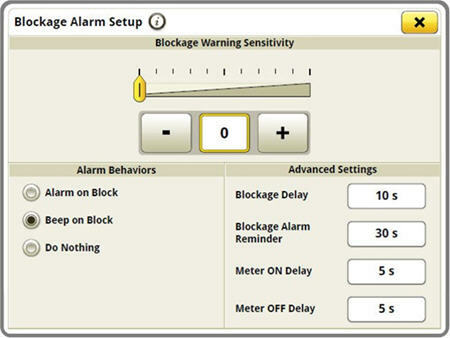 Select the meters that toned to be calibrated. 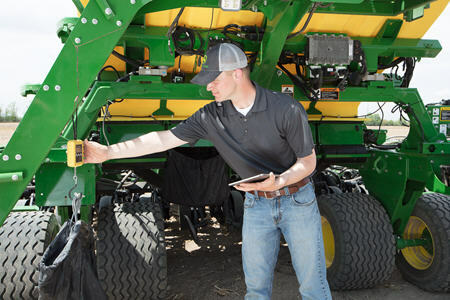 Calibrations are recommended every morning or when crops/seed sizes are changed. 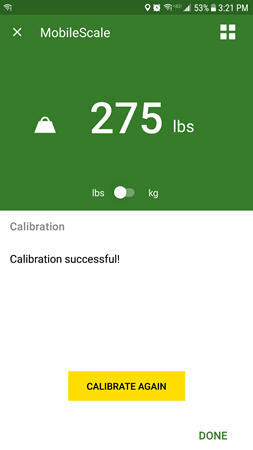 Follow the on-screen prompts to complete the calibration. Once the catch bags are in place, hold down the meter calibration switch until the number of revolutions is complete. 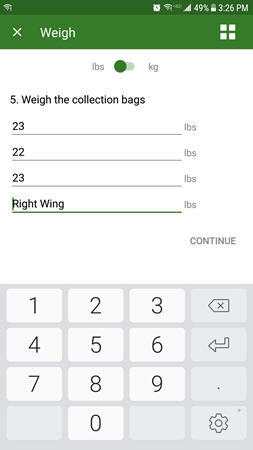 Enter the weights of the bags into the app. 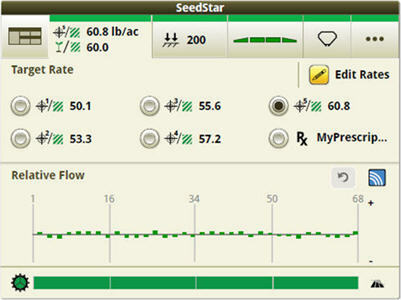 The SeedPlus app will calculate MDV based on the number of revolutions and the product weights. 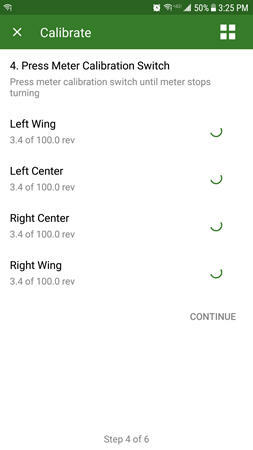 Operators can choose to accept the proposed MDV values or not. Android is a trademark of Google LLC. iOS is a trademark of Cisco Technology, Inc. used under license by Apple Inc.
4.5 in. x 16 in. or 3 in. x 16 in.